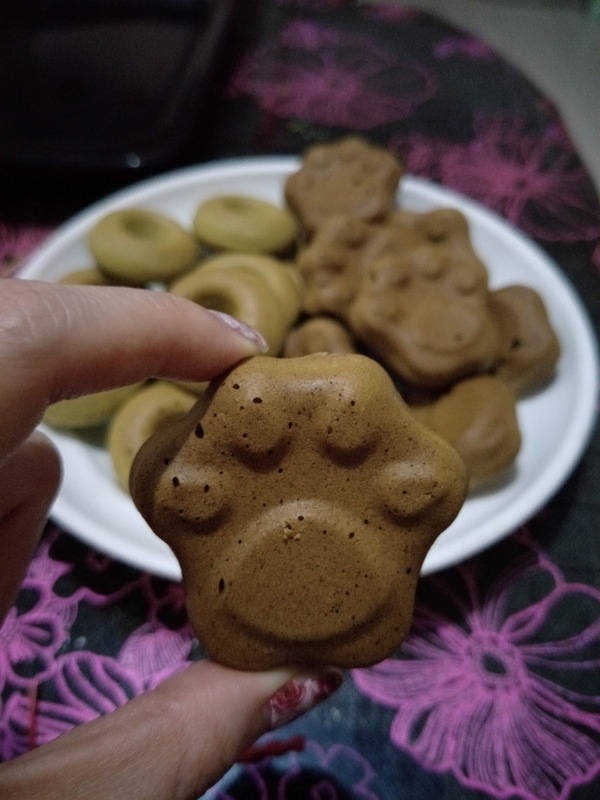 Well, other than the super cute paw mold (get it from taobao HERE) I've previously used to bake some Castella Cakes, I've also bought an equally cute mini doughnut mold (get it from taobao HERE) via ezbuy.sg (super convenient, I'll tell you!) that has been sitting in my baking drawer for quite a while. And since I've knocked off from work on time today (and there's no gym session scheduled), I thought... why not try making the tofu doughnuts I've been reading up on for the past few weeks? First up, beat your egg and sugar on high until it turns pale yellow and thick, before beating in soften butter until well combined. Sift in your dry ingredients and mix until just combined before adding in your silken tofu by passing it through the sieve. Add in milk and mix until just combined. As the batter is quite runny, it's easier to transfer the batter into a piping bag to fill up your doughnut molds before sending them into the oven to bake at 175 degree Celsius for about 20 to 25 minutes, or until the surface is browned to your liking. 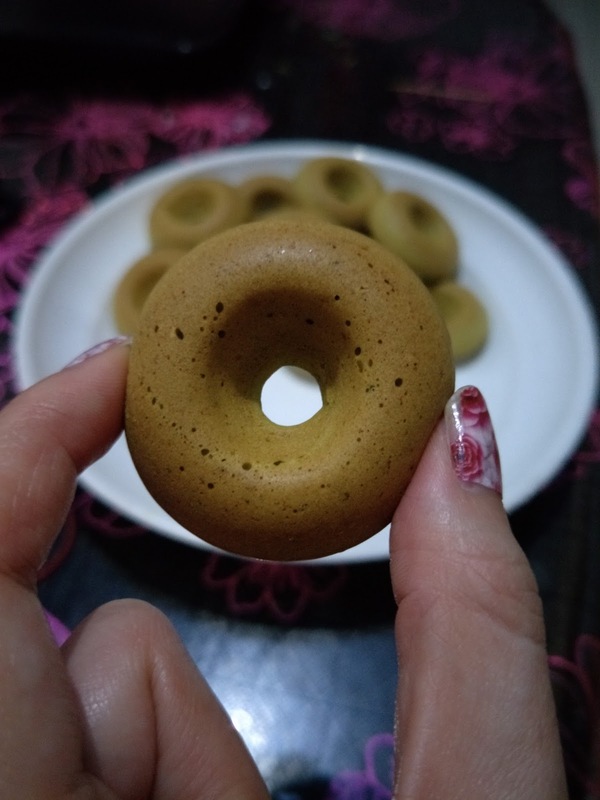 The more underbaked your doughnut is, the more chewy it will be (as this is a mochi doughnut) but the tofu taste may also be more distinctive. 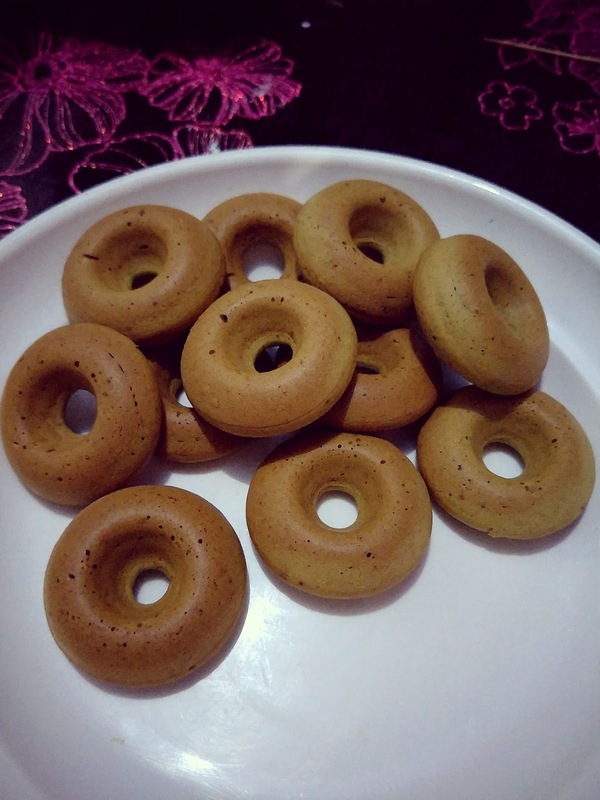 If you absolutely dislike the tofu taste, but wishes to lower the calorie of your sweet snack (by relying on tofu), you may rinse your tofu with hot water (and cool them down to room temperature first) before adding them into the doughnut batter. The batter does puff up slightly during baking, but not so much so do fill up your doughnut rings to at least 3/4 full (I filled to almost 100% filled and got cute little FAT doughnuts). I am a big fan of matcha. I have tried matcha doughnuts maybe thrice and they are all good. I will try this for sure. Thank you for sharing! I really like how it looks and would love to have a taste. So, I'm off to the kitchen to go make me some. First time I've heard about tofu mochi doughnuts! They look absolutely delicious. I also like the fact that it's healthy. THanks for the recipe, hope I can try it! This turned out more cakey than i thought. But still yummy!